This Etnies "Walk Off" Bomber Jacket - Olive has a simple style and is an light padded jacket which keeps you warm on colder days. The two open side pockets keep your hands warm. The inside pocket provide space for keys and wallet. 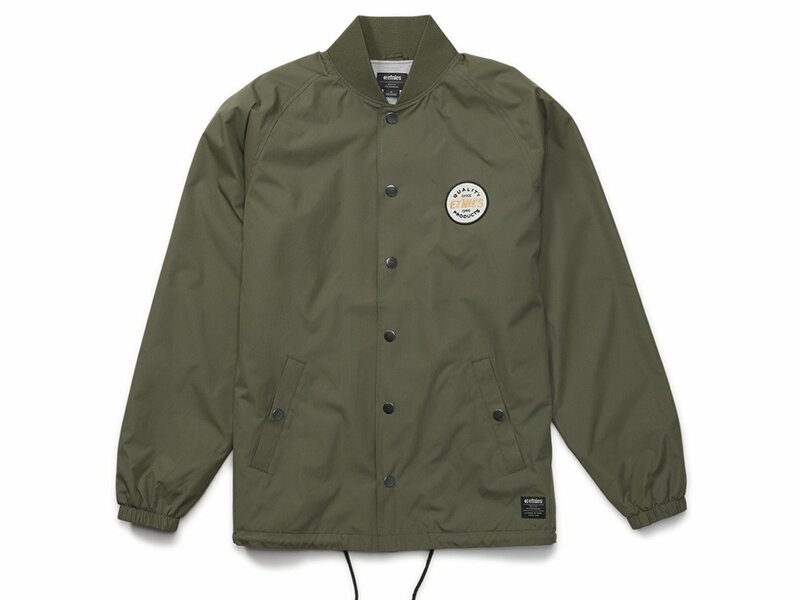 The wide and elastic frets at the neck, sleeves and hip provide good protection from wind and the matt outer fabric is also wind and makes this Etnies "Walk Off" Bomber Jacket - Olive a good everyday jacket.